A Journey of Learning Preschool through Masters! It is with great honor and excitement that we announce Gayle Hutchinson, President of Chico State University, will be a Grand Marshall in the Pioneer Day Parade on May 5th, 2018, along with Samia Yaqub, President of Butte College, and Kelly Staley, Superintendent of the Chico Unified School District. These women will lead the Pioneer Day Parade opening. We stand in awe of their educational accomplishments. It is truly a milestone to have them together in this parade! For the past 20 years, there has been a group of Chico community volunteers who have worked long and hard to bring back the Pioneer Day Parade as a wholesome community/family/children event. Last year, we celebrated 100 years from when Normal School gave annual tours to Chico High School students with lunch and a variety show which eventually became the Pioneer Day Parade. 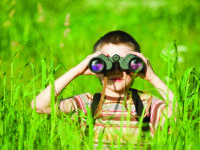 This year’s parade will have something for everyone, but most of all, our children. The primary, middle school, and senior high schools throughout Chico will be participating, including the music departments of band, choral, dance, and drama. School bands from throughout northeastern California will be invited to perform in this year’s parade. The parade will kick-off with a middle school and senior high school art contest to provide a colorful poster to hang throughout Chico, showing the sponsors and the parade information. 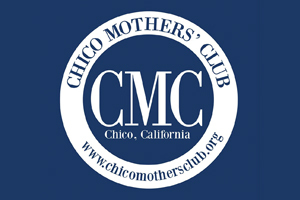 The prize will be $300.00 cash, provided by the Chico Women’s Club which started out as an art club with Annie Bidwell in 1913. The parade starts at 10:00 AM with a pancake breakfast, before the parade, at 8:00 AM. After the parade, there will be a hamburger barbecue in the Plaza and performances by students from Chico Unified and Chico State. Royce Tevis of Chico State will feature a 45 piece band which is the most exciting performance of all. His band played last year, but not for 25 years prior. There will be pre-parade entertainment starting at 9:30 and programs covering all of the parade activities will be passed out by college volunteers.